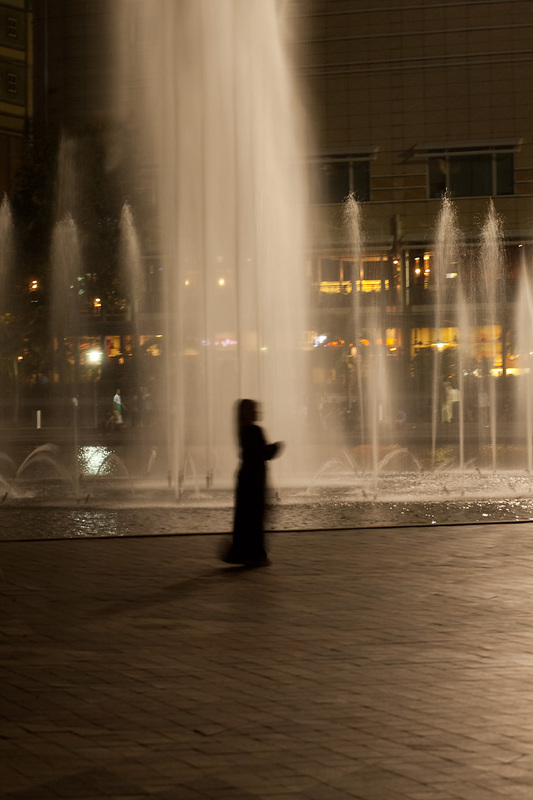 A female Arab tourist walks in front of a fountain at Kuala Lumpur City Center (KLCC). The self-proclaimed center of Kuala Lumpur, the KLCC, provides mild-mannered evening entertainment for locals and visitors alike. The view when one looks up is of the Petronas Towers, at one time the tallest structure in the world. At the base of the towers is a park and man-made pond with an elaborate water fountain set to soft music. The downside, however, is the weather. It's currently monsoon season in this part of Southeast Asia. The daily showers make any non-air conditioned space sticky and unbearable for most. It was only a matter of time before an expired Thai visa forced me to leave the beauty of Ko Lipe. After a brief shopping expedition in Bangkok, I rushed back to Kuala Lumpur in order to catch a flight to London in a few days. Unfortunately my time here is limited so I can only allot a few days of photos for Malaysia's capitol. 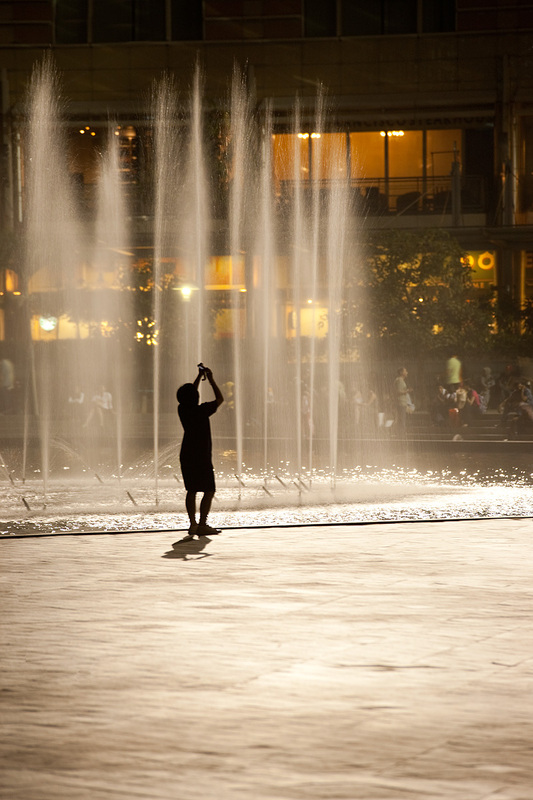 A young Chinese boy snaps a photo of the Petronas Twin Towers. The Petronas towers is tastefully lighted at night with a bevy of floodlights. Hopefully in the next couple days, I can grab a photo of the towers at dusk. Perhaps a user-controlled panorama is in order. Stay tuned; if I have time I'll try to set this up for tomorrow's photo!